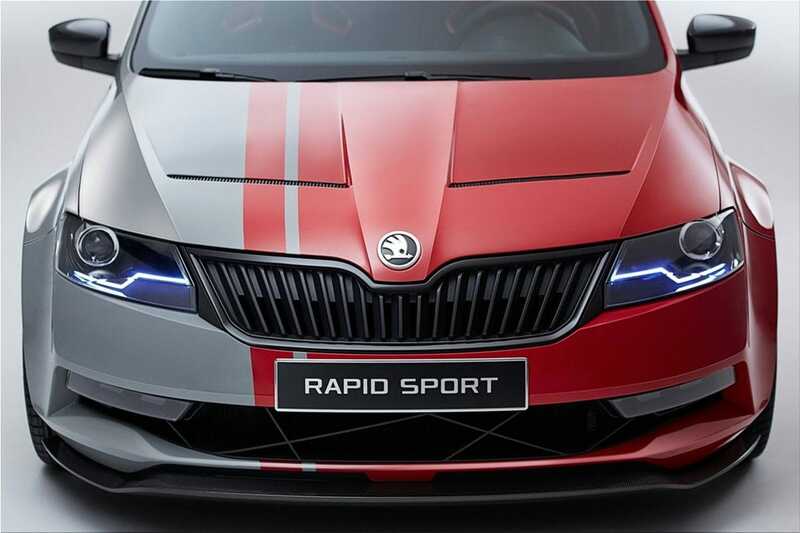 Skoda has released new photos with the Rapid Sport concept. 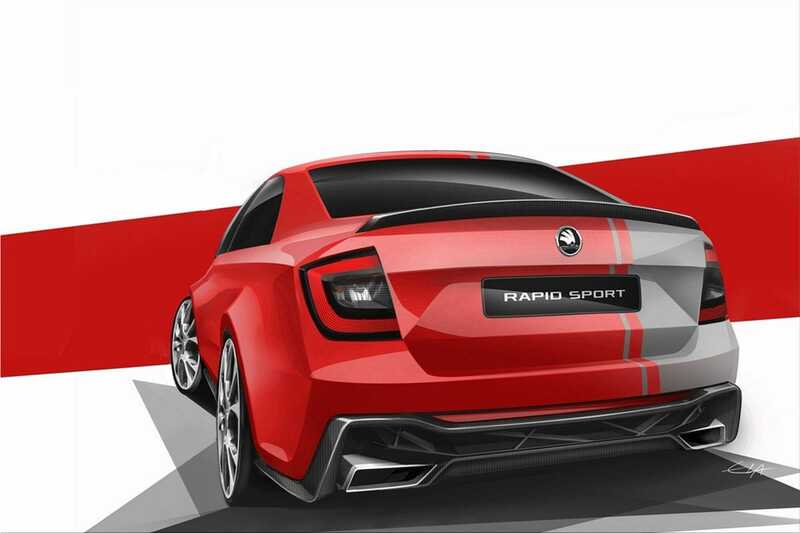 Skoda Rapid Sport Concept is a vehicle full of dynamism and sportiness. 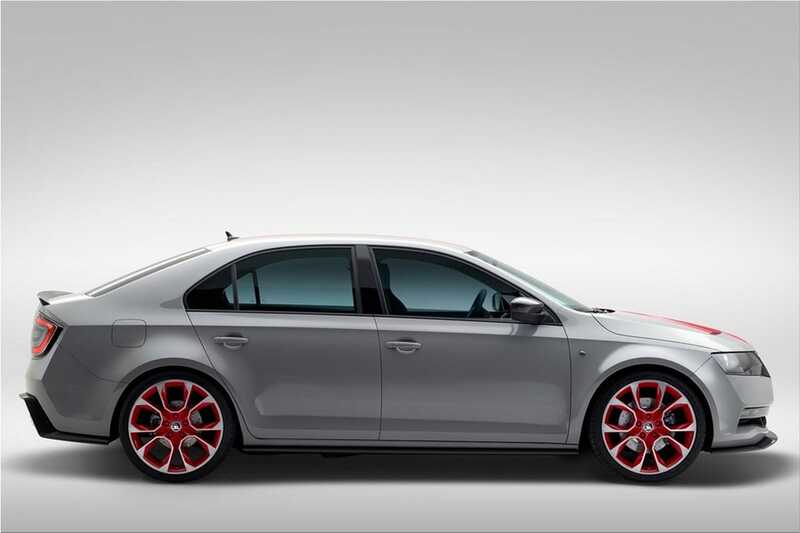 The sports car wears a two-tone color scheme: the metallic colors 'Corrida Red' and 'Steel Gray'. 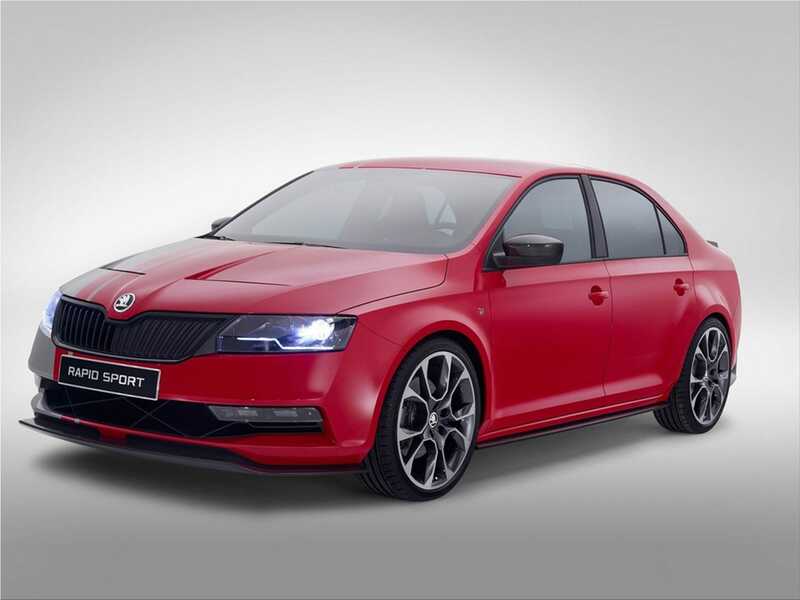 Skoda Rapid Sport car is equipped with massive 19" alloy wheels. 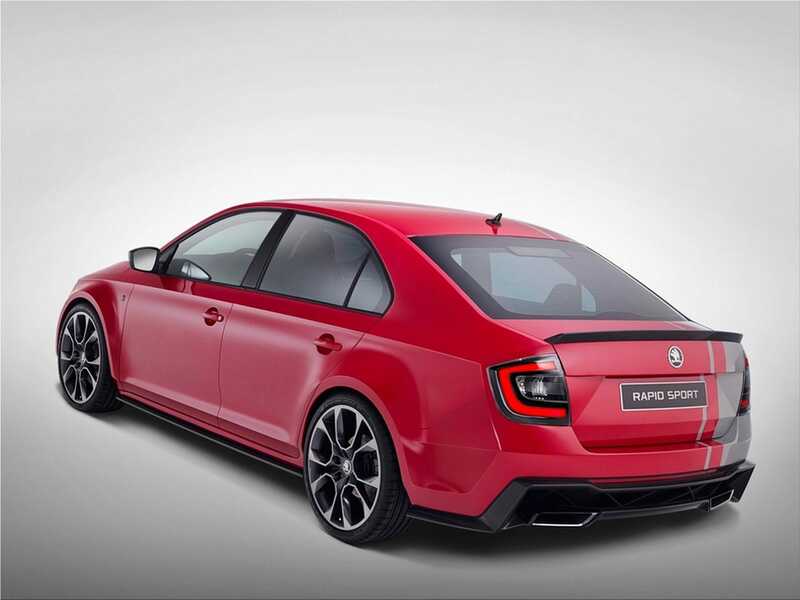 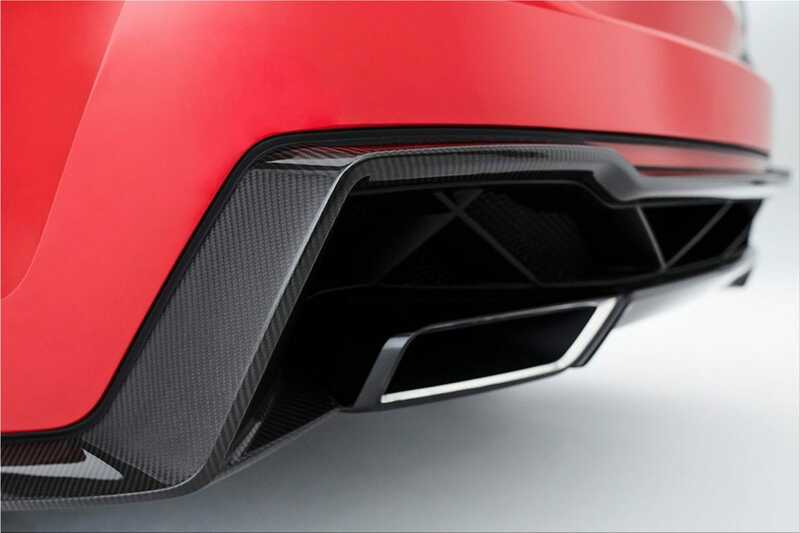 Other characteristics of the Rapid Sport Concept are the redesigned front and rear bumpers, flared wheels arches, two integrated exhaust tailpipes and side skirts, as well as a rear diffuser. 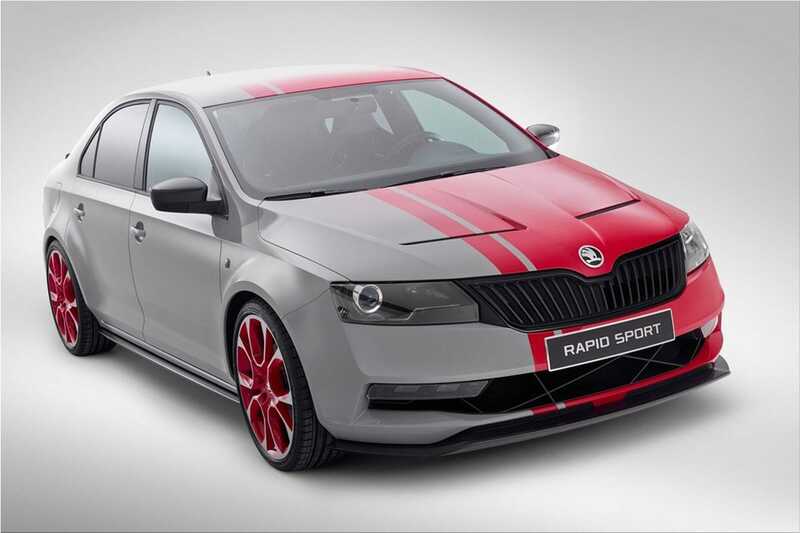 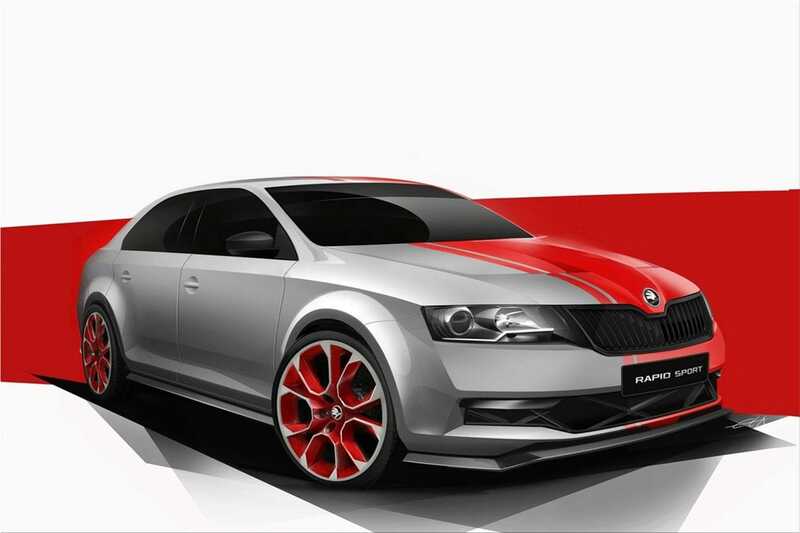 Skoda Rapid Sport Concept interior layout features Recaro seats, sport-type steering wheel and illuminated door sills.